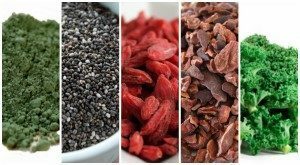 What are superfoods? Superfoods are the best way to eat for maximum health, energy and fat loss. A fundamental truth about your diet is that you are what you eat. Food affects, for better or worse, every part of your body. Every cell. Every system. What you put into your mouth determines if you’ll be calm and clear, or tired and bloated. It decides if you’ll feel foggy and frazzled or glow with energy and good health. 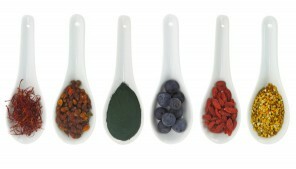 So, what are superfoods and how can they help you maximize health, energy and fitness? Superfoods are nutrient dense foods. They are mostly unprocessed and whole plant-based foods. Packed tightly inside these healthy containers is a diverse range of nutrients – vitamins and minerals, anti-inflammatory fats, easily digested proteins and heart-healthy fiber. To answer the question about what are superfoods, this definition serves as a helpful guideline. Any foods that meet these criteria, or have a variety of phytochemicals and cell-protecting anti-oxidants, can be justifiably called superfoods. A diet rich in superfoods can convey the multi-various goodness of superfoods to you in delicious and easy to prepare fashion. There are almost fifty plant-based superfoods that offer a mind-boggling array of benefits to your body and mind. What are superfood diets? No, they aren’t magic pills that can cure anything that ails your body. They cannot compensate or correct for other dietary indiscretions and indulgences. To unleash the true power of superfoods, you must consistently made good choices. And it begins one meal and snack at a time. * Eat real food. By real food, we’re talking about stuff that’s not pre-packaged and placed on supermarket shelves, with a list of ingredients that don’t make any sense. In general, don’t eat from a can, box or carton. * Eat more plant foods. Stuff that grows on a tree or in the ground is good. 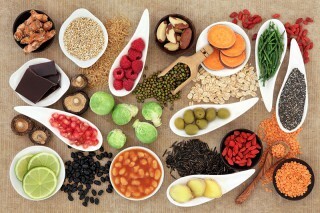 These superfoods include vegetables, fruits, sprouts, legumes, nuts and seeds. * Buy seasonal foods locally. When it is packaged and shipped long distances, food loses most of the valuable nutrients in transit. Choose locally grown food instead. There are enough superfoods in your neighborhood. Just ask the right question: What are superfoods? * Go organic. Pick foods grown without pesticides, fertilizers, synthetic ingredients, radiation or bio-engineering. With animal products, what are superfoods is determined by whether antibiotics, hormones or other enhancing agents were used to breed them. * Include superfood supplements. Adding one of the many superfoods to anything you eat regularly will boost the nutritional value of your diet. Include one or two of these superfoods every day in your regular diet and watch your health and energy soar. * Enjoy your superfood recipes. Many superfoods are delicious. And once you’re accustomed to them, you’ll lose cravings for other processed food. These superfood recipes are quick and easy to prepare, healthy to eat, and tasty as well. So now that you know what are superfoods, are you ready to get started on transforming your health and energy through eating? These guides may give you some more information and lovely recipes for healthy and tasty superfood diets. Enjoy! This entry was posted in Health & Wellness and tagged superfoods, what are superfoods on April 11, 2018 by Healthy Living Guide.